Worldwide mobility is a part of the social texture of globalisation and international relations. It is both a cause and a consequence of globalisation, and the response of national and international political institutions is key to any analysis of governance and social transformation on a global scale. It is one of the tension points in modern politics at both a national and international level. This project looks at international organisations, national and regional migration policies of different countries, ways of organising the living space of migrants and refugees and the transnational social dynamics of mobility. It describes the political and social structures and trends of mobility, mainly through the empirical observation of the practices of institutions and actors (countries, international organisations, migrants, refugees, networks etc.) 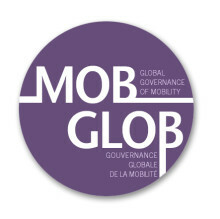 involved in the governance of mobility. It also seeks to analyse the representations linked to these practices, and the devices of regulation, ideology and identity politics on which they are based. The researchers involved in this project favour an empirical approach together with a systematization following the models of political science, sociology, anthropology and political economy. They have also chosen to tie their research to political and social issues, and to produce an empirically grounded discussion on migration policies and migration politics. They share a common interest and critical insight on public action, both national and international, its norms and its principles in relation to mobility.